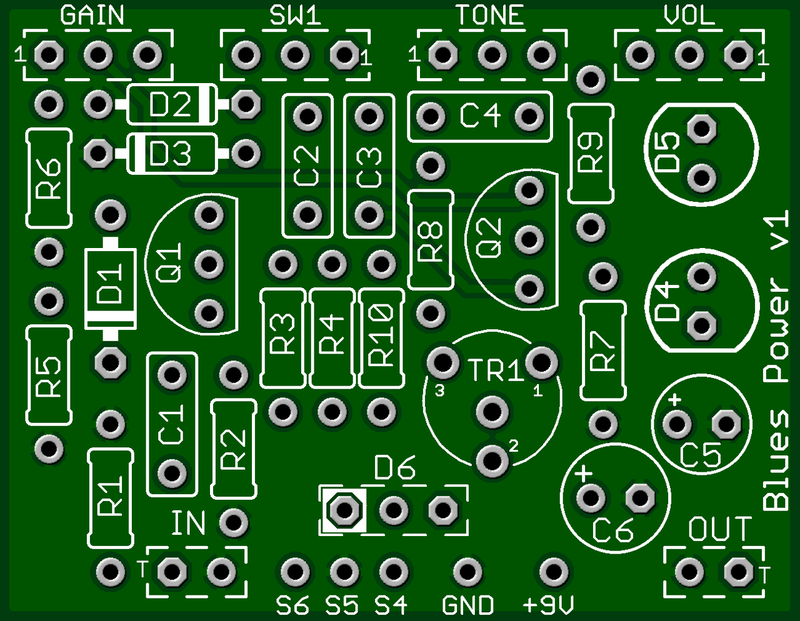 This kit includes all of the parts needed to build the GuitarPCB Blues Power project. The Blues Power is based on the ROG Peppermill, but has been significantly modified to include tone control, and has been given clipping options. The result is a very transparent-sounding overdrive that sounds fantastic. This kit ships with a 125B enclosure, Black Davies 1510-Style knobs, and a red power jack.